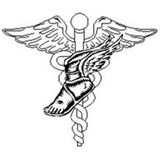 Great Neck Podiatry Associates (Great Neck) - Book Appointment Online! Our goal is to ensure you experience compassionate, efficient and cost-effective treatment that is provided with regard for your overall health and well being. This doctor was very thorough and knowledgeable. Took my foot pain right away. For 2 yrs I've been suffering from severe heal pain but thanks to him I no longer experience it. Would recommend him to anyone!